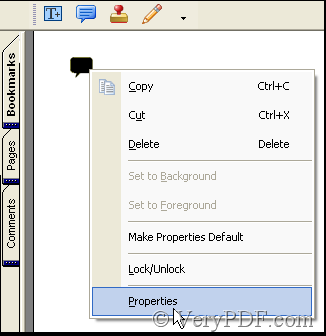 ← How to encrypt my files without Adobe Acrobat? I noticed that I can add note-shaped mark to my PDF file with VeryPDF PDF Editor by both the annotation and comment, do they have differences? The result is the same but the operation different. In annotation the fifteen pdf note-shaped mark can be seen directly, their appearance is presented before you. 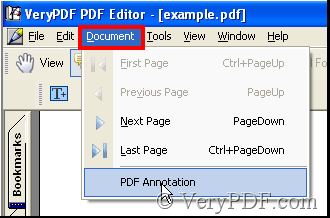 When you have added pdf note-shaped mark by use of annotation, you can continue to alter it in the function of comment, whereas when you use the function of comment to add pdf note-shaped mark, you only choose them according to their names, no an icon provided. Next the article operates the two methods. Method 1: Add pdf note-shaped mark by use of annotation. 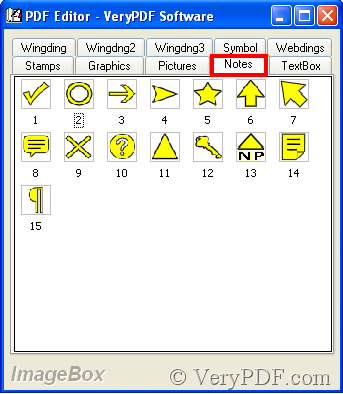 After Illustration 1 you will get Illustration 2, and choose Notes option in which choose a pdf note-shaped mark as your application, then double-click it, thus it’s added to the pdf file. Next say the another way to add pdf note-shaped mark. 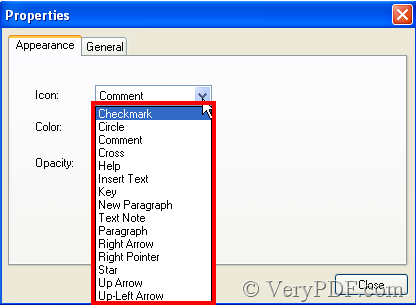 Method 2: Add pdf note-shaped mark by use of comment. After Illustration 3, pdf note-shaped mark has been added. Then right-click the pdf note-shaped mark, you will get Illustration 4. After Illustration 4, you will get Illustration 5. Choose a name as the application, thus the needed pdf note-shaped mark emerges. 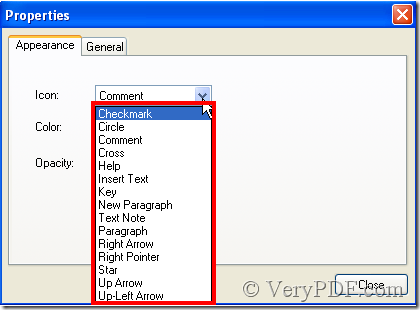 In Method 1, you can also alter the pdf note-shaped mark with right-click and choose Properties. How to add more virtual PDF Printers into my Windows system? How to suppress Save As dialog? How to convert table in website to PDF by PDFcamp 64-bit? How to change local file to online file? HTMLTOOLS / License is “gone”? 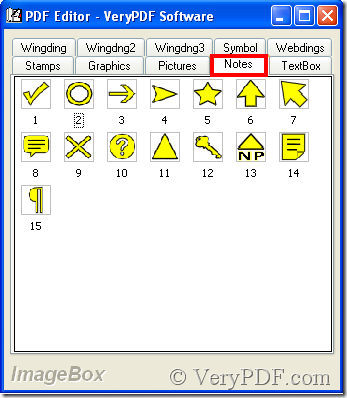 How to add Wingdng3 images as annotations to PDF files with VeryPDF PDF Editor?